This monthly series explores KQED's journey to transform into a 21st century public media organization through disruptive innovation. Working with KQED, researchers Elizabeth Bandy and Scott Burg will cover new strategies and lessons learned in real time across topics such as audience engagement and sophisticated data analytics, education restructuring and expansion, the spread of design thinking and innovation initiatives, developments in local and digital journalism, and the adoption of new technologies to support these efforts. What’s the role of public media in education and of public in public media? The intersection of these questions is at the heart of what we’re trying to do. What lies at the intersection of these two simple but powerful questions for KQED’s Education team? Youth participation. As visions go, youth participation is great. It’s short, to the point and ties into the central goals of the digital media and learning field. But, what does it actually mean? Moreover, how exactly does one design products that foster it…and to what end? These are the questions KQED Education staff have been asking themselves and each other on the path to defining their new vision for public media education. The #EngineerThat Student Challenges they piloted in early 2016. These initiatives illustrate how KQED Education is translating its vision of youth learning through media participation into action in five key ways. The Engineering Is e-books present students with a real-world problem and then, through text, video and illustrations, show how scientists and engineers work together to solve that problem. For the #EngineerThat challenges, students were asked to identify a problem in their communities that could be solved with engineering, work through relevant science and engineering concepts, and come up with a possible solution. To complete the challenge, students created a media piece to explain these elements and then shared it via social media. Students were provided with relevant KQED content, including the e-books, to serve as the background texts and inspire the participation piece. Offer levels of participation. 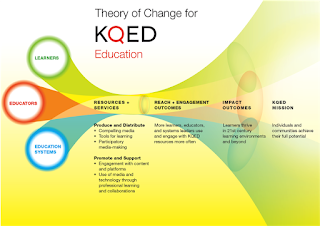 According to Mencher, the KQED Education team strives to incorporate the design principles of equity and access into their participation projects. One way they accomplish this goal is by building in multiple levels of participation. For the #EngineerThat challenges, students created and submitted a range of media products to illustrate their work, including short video, photos, drawings and infographics. The inclusion of these options, or levels, allows projects to be adapted to a variety of contexts and increases the potential to engage traditionally underserved youth who may not have the access to technology or skill level necessary to produce a video. Raise youth voices. Education staff strongly believes in the importance of highlighting youth voices, and the #EngineerThat challenges did so in several key ways. First, students were asked to share their media creations via YouTube, Twitter, Facebook or Instagram. Second, KQED Education featured the top five solutions online, leveraging KQED’s reach and visibility as news media organization to share youth voices with the broader community. Moreover, those top five projects were determined by not only KQED staff but also a team of teen judges. Connect to the community. The #EngineerThat challenges both connected teens directly to their communities by asking them to solve real-world problems and provided a platform to showcase community media creations, addressing the “public” aspect of public media. Continuing to build on KQED Science’s close relationships with other local organizations, #EngineerThat’s teen judges are members of the California Academy of Science’s Teen Think Tank. The Education team continues to develop participation-focused initiatives, and what they have learned from the #EngineerThat pilot has led to a new engineering challenge design, Engineering for Good, which will launch this school year. #EngineerThat is just one example of KQED Education’s new products and initiatives designed to foster youth participation, all of which are grounded in the team’s philosophy of digital media and learning. The KQED Education team believes that the most valuable role public media can play in education is to foster media literacy skills for participatory learning and civic engagement in young people and to provide opportunities for learning, self-expression and sharing with and through digital media. A set of core beliefs about digital media and learning shape and drive how they create products to foster youth participation. By providing easy access to vast stores of information, digital media have facilitated a democratization of learning. Knowledge is quite literally at our fingertips. Learning in schools can and should be connected to how young people learn and engage outside the classroom. Deeper engagement with content, including through the process of media creation, leads to deeper learning opportunities. Projects that connect youth to real-world problems can offer opportunities for choice and self-expression engage youth more meaningfully in the learning process, particularly those traditionally underserved. Media literacy skills are critical for participation in work, political and social life. 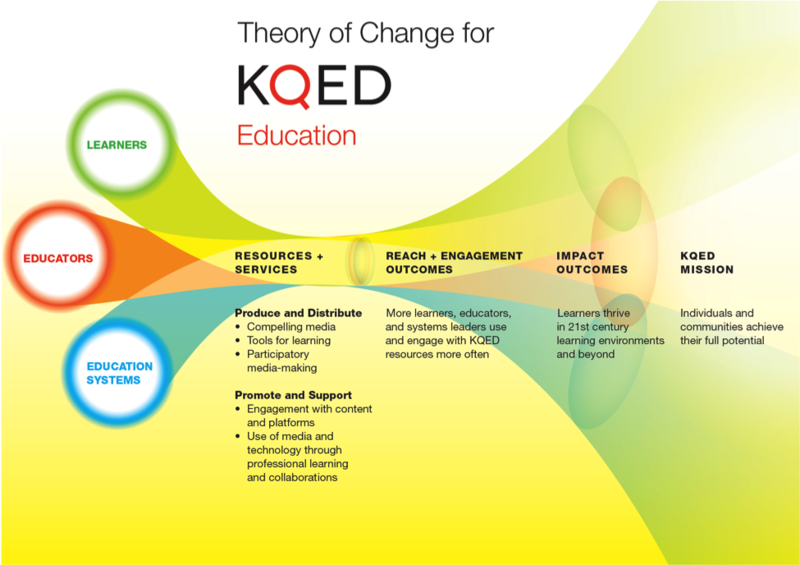 To learn more about how the KQED Education team is putting theory into practice in both their student products and their new KQED Teach professional development initiative, read the full piece at Disrupting Public Media.